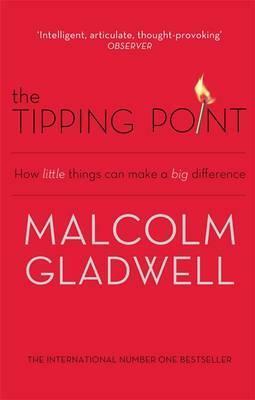 This is a fascinating read, ranging across a variety of topics. What makes a great salesman? Why do are some TV programs so addictive? How do some people remain occasional smokers without ever developing a daily habit? There’s also a chapter on the magic number 150 – how the military, communities and companies have found that once a unit exceeds 150 people you need to split into sub-groups in order to maintain the same levels of cohesion. 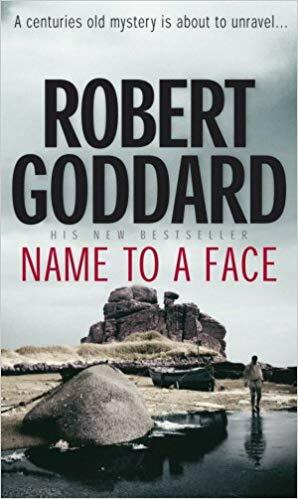 This wasn’t a particularly memorable book – the main character is Tim Harding, a landscape gardener who finds himself chasing around the country investigating the theft of a historic ring and the death of a journalist, whilst also having an affair with the wife of a rich client. The shame of it is that there’s a gem of a plot hidden in this book, concerning the legend of the Grey Man of Ennor who supposedly had healing powers and cured people of the Black Death. His remains may still have the power to heal and are fiercely protected by local families on the Isles of Scilly. 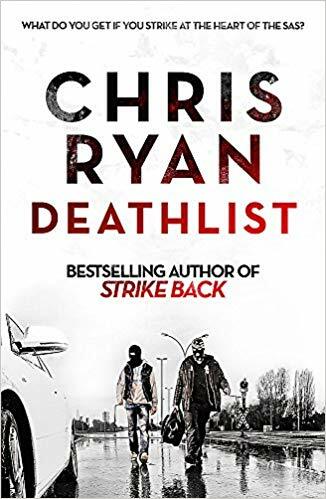 As with the other Chris Ryan books that I’ve read, this one concerns the SAS. This time, though, it’s the SAS who are subject to a surprise attack – a training platoon mercilessly bombed by a well organised team, bent on revenge. The plot follows two experienced survivors from that day as they track down the perpetrators and aim to exact their own revenge. They are helped unofficially by the UK government, including the mysterious Cecilia Lakes – a senior official destined for greatness in the UK Intelligence Services. Like other reviewers, I found a lot of the SAS jargon and bad language somewhat overdone. However, the story itself is gripping and worth a read. This is a technical book, packaged as a very readable tale of an IT Manager who is promoted to Vice President of IT Operations across his company. Whilst Bill runs a tight ship in his small department, the company as a whole has a poor culture for delivering software. 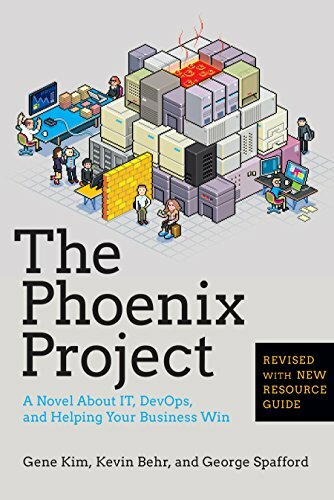 Bill is ordered by the CEO to do whatever it takes to bring the Phoenix Project (an IT re-vamp vital to the company’s business) to completion. Much of the technical content concerns the DevOps arena and touches on issue tracking and prioritisation as well as improving time to delivery. It’s a good read as well as making some well-argued technical points. The first address in this year’s Appleton lecture was given by Dr Sarah Atkinson. She gave a historical view of “fake news” created by manipulation of media, starting with the Cottingley fairies. This set the scene for Dr Hao Li’s excellent presentation of his research into animation of people, initially through long-running processes for film effects, but latterly in real-time for Animoji on the iPhone X. There are plenty of applications for the techniques, such as video conferencing, social media and even films. 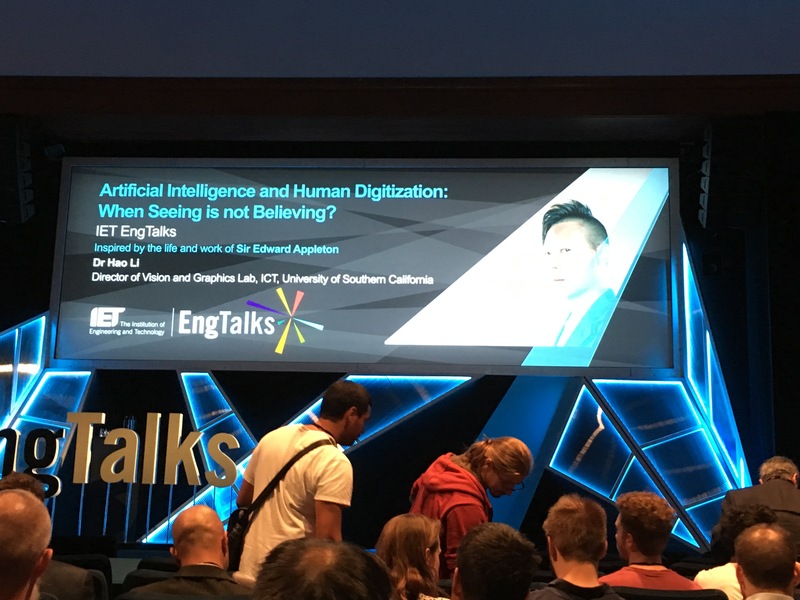 However, the common theme was that, as these technologies become mainstream, we should no longer assume that video evidence of a speaker saying something is actual real.